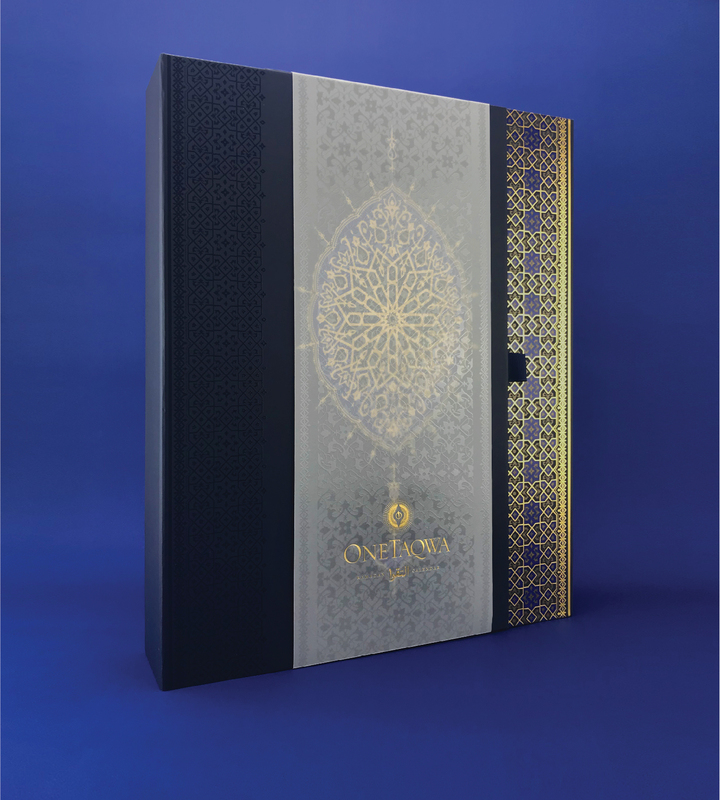 Created to be given as gift for those celebrating the 30 days of Ramadan OneTaqwa's aim was to be the world's finest Ramadan Date calendar. 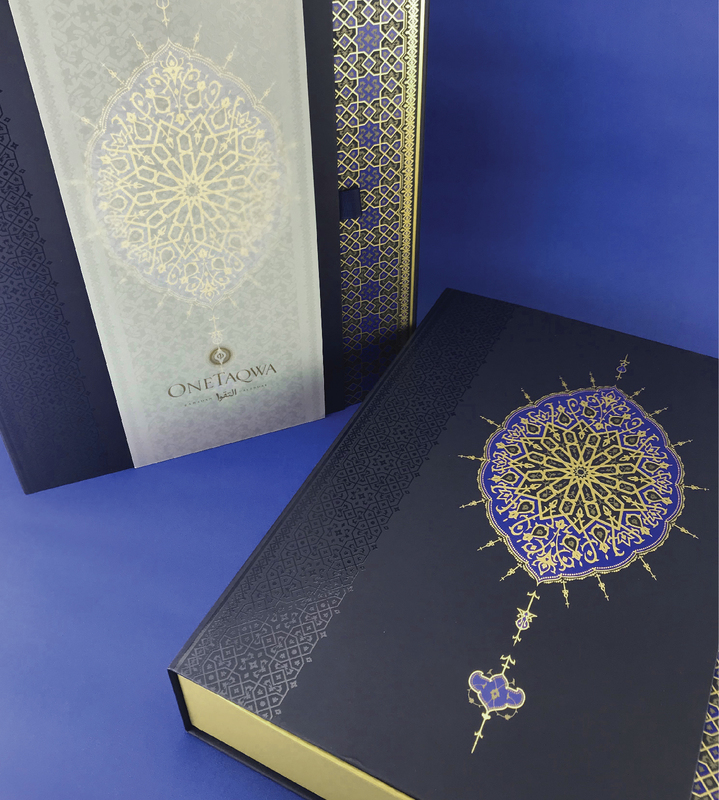 This exquisite package design was inspired by the richness of the Islamic geometrical patterns as well as delicate arabesque motifs and crafted with incredible attention to detail. 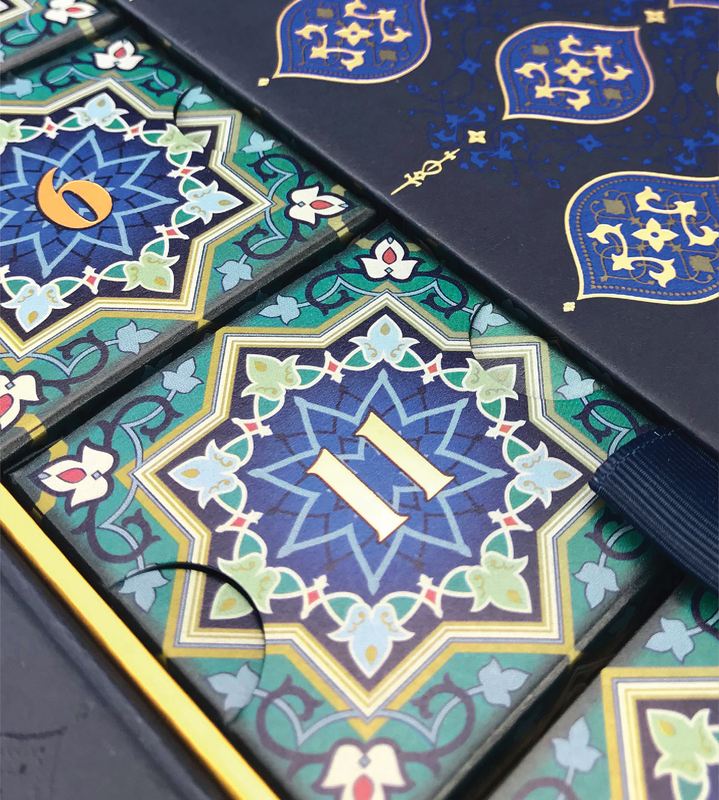 Each layer of the packaging was designed to take you on a journey each day to 30 beautiful individual date filled boxes. 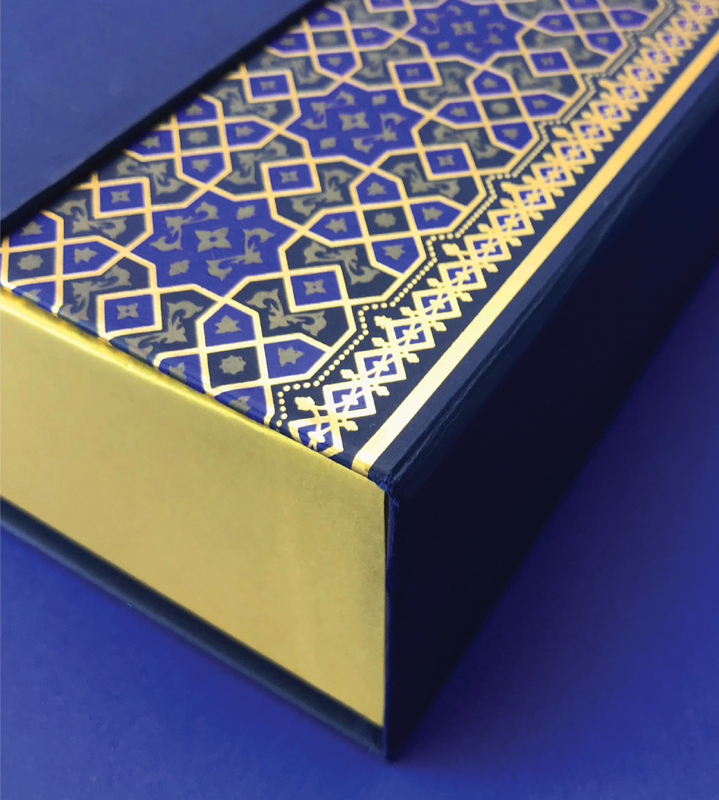 Every layer designed to semi conceal and hint at the next, from the semi transparent overwrap with gold foil and subtle varnishes through to detailed foiling the design becomes more colourful the further in you get, each layer delighting. It was imperative that the production and finish be of the highest quality, the pattern work was very intricate and detailed requiring precision production and to create a hand-feel that delivered a luxury experience. Lucas Luxury Packaging did a superb job of producing the box and with total understanding of the level of quality required. 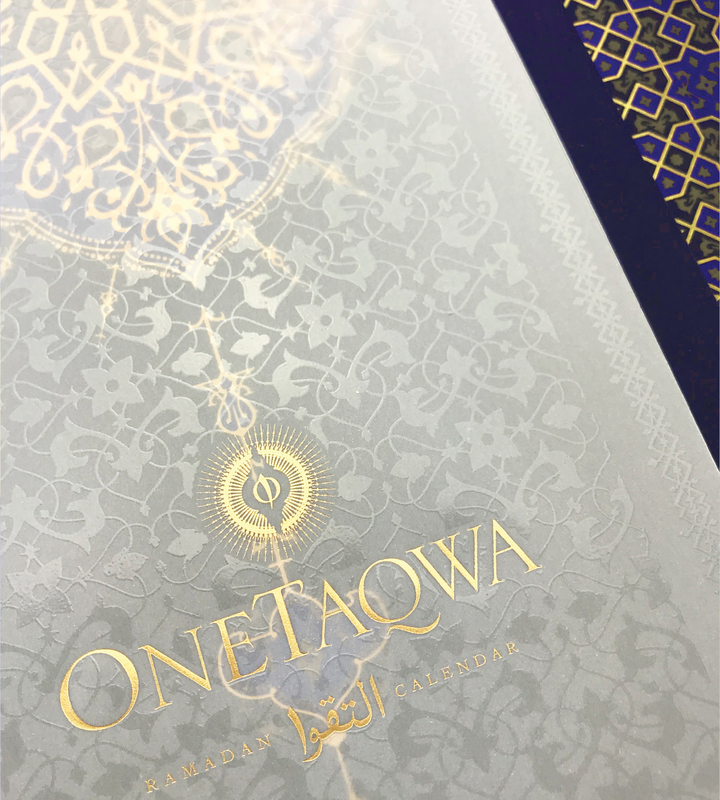 OneTaqwa was an exciting project that blurs the lines between packaging design and product with beautiful results, highlighting how essential collaboration between designer and the producer is.